Beds for even the tallest sports people! Dovetail, along with three other Scottish Supported Businesses, were proud to be involved in the sportscotland Inverclyde National Sports Training Centre project. A major £12 million development that was possible due to funding by Scottish Government and sportscotland, Inverclyde is now a residential sports training centre, the first of its kind in the UK, designed with inclusivity in mind. The ethos of inclusivity went beyond the bricks and mortar and extended to the engagement of a number of suppliers to the centre. For our part Dovetail were delighted to be awarded the contract for the supply of client own specification mattresses and bed bases on this exciting and high profile project – note the third leg, this was needed to provide additional support due to the oversize length – some 2.2 metres – ensuring the tallest of sports personnel could sleep stretched out if so desired. Working with sportscotland allowed us to demonstrate, not only that our products are high quality and competitively priced, but also that we are able to manufacture to the unique requirements of clients. sportscotland had a very clear specification in mind, including the base colour. Working closely with them to meet the specification, or to offer suitable alternatives ensured that these bed bases co-ordinate with the fantastic surroundings of the bedrooms with a mattresses specification to meet all client requirements. 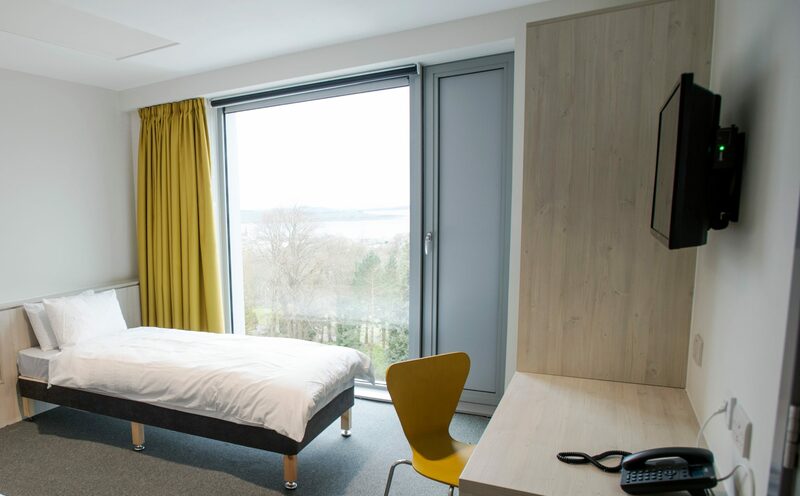 Inverclyde has already welcomed its first residential guests and community users and the feedback has been overwhelmingly positive.